An easy georiddle this time, the searched event is not the depicted but a related, more notorious, one. The 1906 San Francisco earthquake? The earlier more notorious one, 1755 Lisbon? 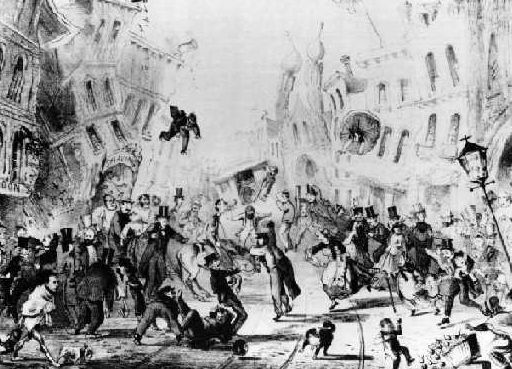 Almost correct - it´s a caricature of the San Francisco Earthquake of 1865 - related to the anniversary of the Earthquake of April 18, 1906.